How do the origins, history, and present state of Benedictine monasticism point to the viability of its future? How can the new intentional communities contribute to the revitalization of Benedictine monasticism today? In what ways do the Benedictine Rule and its array of communal arrangements and the perspectives of these members and oblates inspire and provide the scaffolding for new communities of life and hope in our modern world? Attempts to answer these questions showcase the theme of unity in diversity and address Benedictine monasticism in broad, institutional strokes as well as in the very specific practices and narratives of monastics, oblates, and others living in various communities. In this volume, you will hear the voices of many community members—young and old, men and women, Benedictines and intentional community members—all speaking from the heart of their lived experience and wisdom. Mary Forman, OSB, PhD, is a Benedictine sister from the Monastery of Saint Gertrude, Cottonwood, Idaho. She is associate professor of theology, teaching monastic studies and theology at the College of Saint Benedict and Saint John’s University in Central Minnesota. 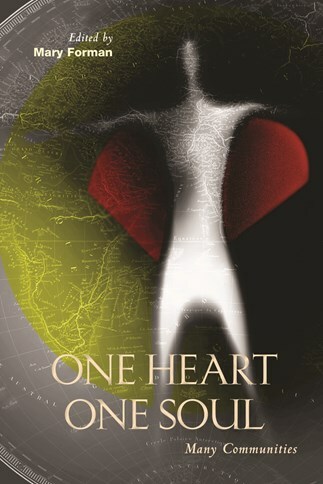 An erudite and philosophical collection, One Heart, One Soul offers an insightful glimpse into daily monastic life as well as meticulous discussion of issues affecting monasticism in today's ever-changing and increasingly globalized world. Highly recommended.
. . . a rich treasury of wisdom. For those of us who were not fortunate enough to attend the 21st annual Monastic Institute in 2006, the present collection of its papers is very useful. Anybody who is interested in the future of monasticism will find these addresses and discussions quite fascinating. In this volume the old monasticism meets the new. The essays are academic in nature, yet also spoke deeply from the heart and soul about the beauty and difficulties of community life. The presentations were profoundly human and spiritual. There are truly piercing reflections by several different authors that will not only motivate readers, but will also bring about real moments of reflection. The essays are moving and real, deriving from authentic struggles, questions, and joys of those in different forms of monastic communities. One Heart, One Soul: Many Communities is the record of an early and exciting stage of a conversation that is surely going to continue. The dialogue partners are men and women, young and old, married and celibate, Benedictine monastics, Benedictine oblates, Catholic Workers, members of L'Arche, representatives of the `New Monasticism' and others living in intentional Christian communities. St. Benedict says, `Listen,' and there is much here that deserves a hearing. The Spirit that set St. Benedict in motion is certainly at work in the twenty-first century. In this well-edited collection of presentations and discussions there are some strong hints of the directions that the divine Wind is blowing today.